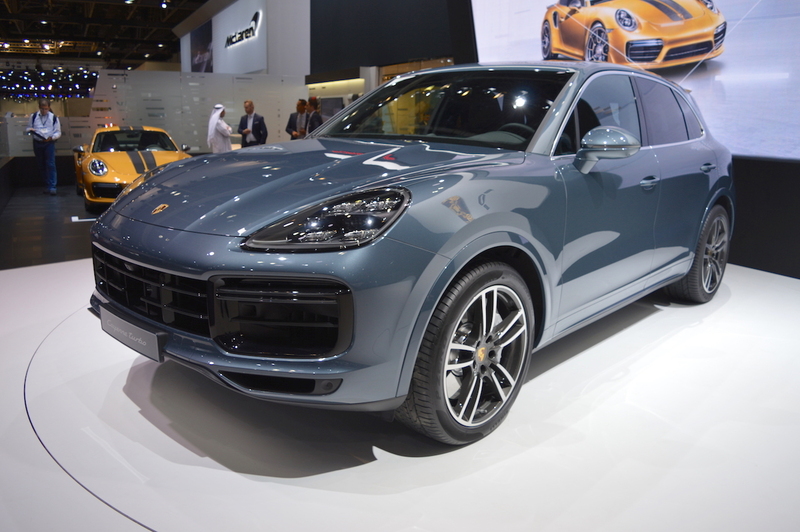 After having its world premiere at IAA 2017, the 2018 Porsche Cayenne Turbo has reached the 2017 Dubai Motor Show for its Middle East debut. The 2018 Porsche Cayenne Turbo is the range-topping engine model of the 2018 Porsche Cayenne range. Its main talking point is its sportscar-level performance which it achieves from a 4.0-litre twin-turbo V8 petrol engine. This engine produces 550 hp from 5,750-6,000 rpm and 770 Nm of torque from 1,960-4,500 rpm. An 8-speed automatic transmission and an all-wheel-drive system are standard. The Porsche Cayenne Turbo accelerates from 0-100 km/h in just 4.1 seconds/3.9 seconds (with the Sport Chrono Package). It has a top speed of 286 km/h. 415 mm disc brakes with a ten-piston calliper at the front and 365 mm disc brakes with a four-piston calliper at the rear provide the stopping power. Porsche has applied tungsten carbide layer to the steel discs to increase the braking performance and resistance to wear, and also reduces the amount of brake dust. The active roof spoiler also functions as an air brake for additional stopping power. 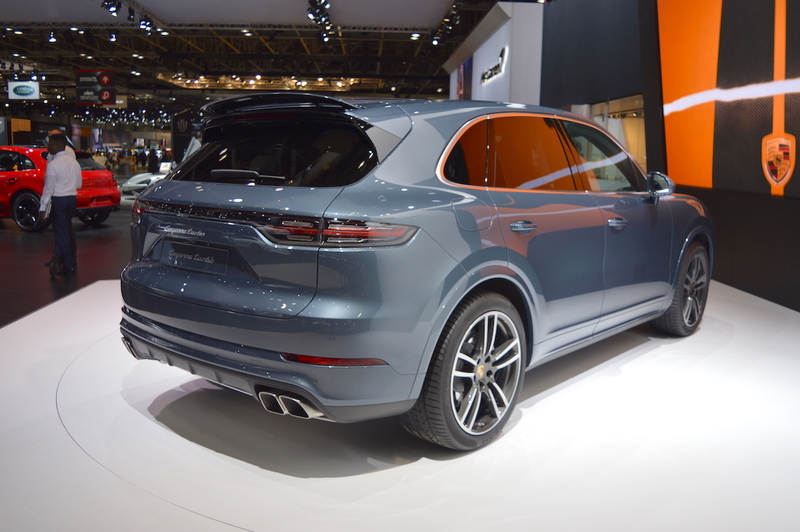 The 2018 Porsche Cayenne Turbo features an exclusive front end, widened wheel arches with painted wheel arch trims, 21-inch Turbo wheels, exclusive twin tailpipes, air suspension, rear-axle steering, electronic roll stabilization with a 48-volt system, 710-watt BOSE surround sound system and uniquely designed multifunction sports steering wheel and seats. The 2018 Porsche Cayenne Turbo retails at AED 5,54,300 (INR 98,12,789.66) in UAE. Its deliveries should commence only in 2018.